We are offering Galvanized Corrugated Sheets to our client. • Agriculture Industries : Grain Silos, Sprayers, Ghamellas, Pans, Feeding Troughs, etc. Our competency lies in offering our clients an excellent quality range of G.C Corrugated Sheet. 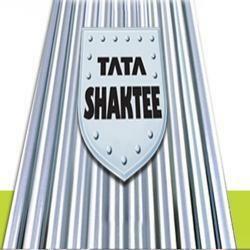 Our provided corrugated sheet can be availed from us in diverse specifications according to the needs of customers. The offered corrugated sheet is distinguished among customers for its f long lasting finish & anti corrosiveness. We are highly acknowledged organization engaged in presenting remarkable range of Galvanized corrugated sheet. 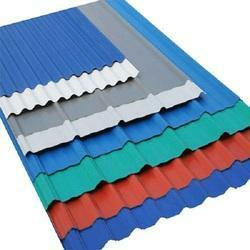 We are a company which is engaged in offering of a wide range of Galvanised Corrugated Roofing Sheet available at affordable rates.